We have emphasized to our children that the upcoming Memorial Holiday means so much more than just family picnics and bouncy castles. Our country is so blessed to have so many brave men and women who work so hard to keep us free. Our family has been honored to have veterans from many of the armed forces: Marines, Air Force and Army. As citizens, we need to do everything we can to support our veterans. We have donated many times to Bob Woodruff Foundation.org or purchased UnderArmour to salute the Wounded Warrior Project. 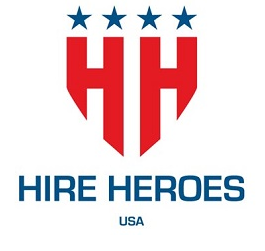 This year our boy’s favorite Sports Entertainment Company WWE will salute our Armed Forces by championing the cause Hire Heroes USA an organization dedicated to serving our nation’s veterans through personalized job search training and assistance. In this economy, job opportunities and training are critical for men and women re-entering the workforce from combative duty. This theory is discussed by our close friends Sydney Howe Barksdale and Diane Kelly in their brilliant academic treatise about how to heal our heroes called “Treating Young Veterans: Promoting Resilience through Practice and Advocacy”. WWE’S continued good works for the armed services gives us so many excellent opportunities to discuss with our children life lessons about the importance of democracy, patriotism and good citizenship in our country. Our children are our future so these lessons are critical for the well-being of our nation. 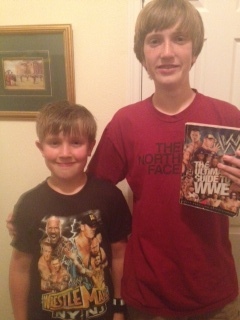 Please help us spread the good works of the WWE to other moms. Join host @WWEmoms, along with @JanetGoingCrazy, @SoberJulie, @RachelFerrucci, @MommyJenna, @LisaSamples, @wrestlingaddict and friends, this Thursday at 7pm ET as we encourage WWE fans everywhere to get involved and support our heroes! RSVP and join the party for a chance to win a Jawbone JAMBOX Wireless Speaker, a Laguiole Wine Opener, and The Fix by Skullcandy Headphones! SUZANNA KEITH RECEIVES COMPENSATION FROM THE WWE FOR CERTAIN PROMOTIONAL CAMPAIGNS. THE ABOVE OPINIONS ARE HER OWN.